Are you looking to “Say I do to a Slimmer you “ and look your very best on your wedding day, are you determined to lose a few extra pounds, then have a look at the Forever Living ‘Clean 9′ it is a great cleanse for your body, whilst still ensuring that you get all of the vital nutrients you need for a healthier you. Developed by Forever Living, the leader in natural, aloe-vera based nutritional products, the Clean 9 reduces your body fat and cleanses your body of unnatural chemicals and damaging anti-oxidants. The results are great and many of those who’ve tried the Clean 9 have not only lost a pounds but also have benefited from better skin and increased energy levels. 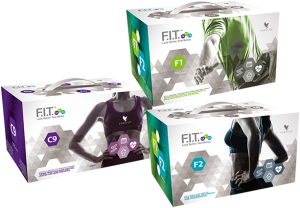 The Clean 9 kit is now available from www.foreverhealthylifestyle.myforever.biz/store along with the complete range of aloe-inspired health and wellness products from Forever Living, including a wide range of natural skin care products. For centuries, the Aloe vera plant has been used for its cosmetic and medicinal purposes. Records dating back to ancient civilizations show that this miraculous plant was as highly sought after, for its healing properties then, as much as it is today. Aloe is often referred to as nature’s best gift. It’s packed full of vitamins and minerals it is a natural way to ensure health from the inside out. The gel of the plant is very successful in the treatment of acne, burns and insect stings when applied topically. And recent studies have proven that drinking aloe gel can greatly improve digestive issues and help to improve your body’s overall defense system. Who Should Use the Clean 9? Forever Living’s C9 is ideal for someone who wants to kick start their weight loss journey with some serious results. It’s Very useful for a holiday or a wedding. It helps reduce bloating, after over indulgence or perhaps after Christmas or a holiday or fro your Wedding or maybe even after pregnancy to get rid of the extra baby weight. The Clean 9 is suited to a short term goal. Longer term goals are achieved through the FIT1 & FIT2 programmes to maintain or achieve further weight loss. For advise on how the Clean 9 should be used and whether its right for you, please contact us and we will be happy to help. So What’s in the Clean 9 pack? How Do I use the Clean 9? The Clean 9 program is a nine day plan that uses a carefully designed combination of great products containing aloe vera and garcinia along with an eating plan and some exercise. The plan consists of a product pack which contains all the products you need for the nine day program, along simple to follow instructional booklet with step-by-step details for each day. The booklet has full details of ‘free foods’ you can eat on each day of the plan, meal ideas and even exercise plans. I am also looking for partners to join us in promoting Forever Living products, with flexible hours to fit around your lifestyle and generous commissions on any sales.